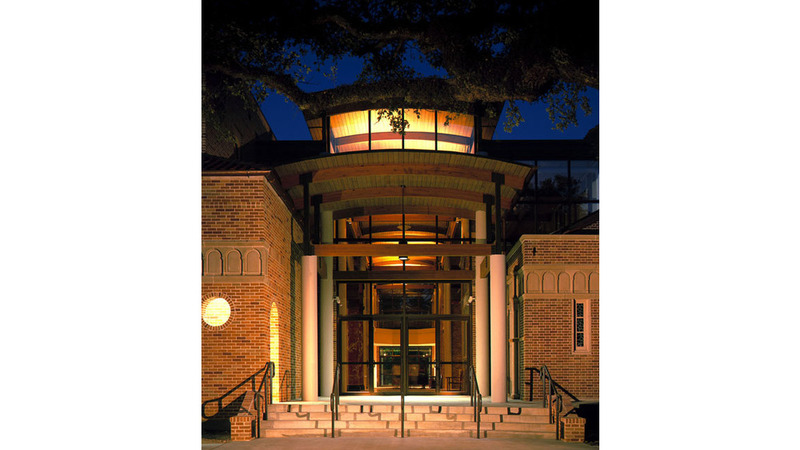 The LSU Catholic Church and Student Center is an award-winning expansion and renovation of a campus church. 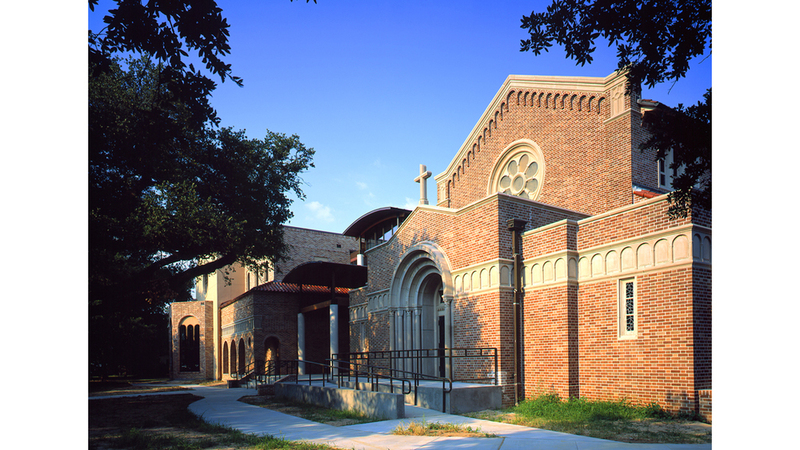 The architects overcame several significant challenges: a very constrained site bound by the existing Church and live oak trees, renovation of the existing historical church, and inserting a contemporary and timely, yet appropriately respectful new addition. The existing Church was renovated into a Student Center and Library. A gently arched roof form of metal, wood, and glass joins the new Church and Student Center. The result is an inviting, respectful and timeless new entry and gathering space that is a connection between the new and old.